Fewer than 1 in every 15 major injuries at work now result in a Health and Safety Executive (HSE) investigation. Justice suffers too, with absolutely no HSE enforcement action in almost 98 per cent of cases. But Tory plans to give firms a get-out-of-jail card could make a bad situation much, much worse, Hazards editor Rory O’Neill warns. Stop press! HSE withdraws director leadership case histories after Hazards slams free PR for killer BP [more]. If you thought your life being shattered would at least prompt an official investigation, you’d be wrong. Figures obtained exclusively by Hazards show that in 2007/08, just 7.3 per cent of the 32,810 fatal and major injuries – or fewer than 1-in-every-13 – reported to the Health and Safety Executive (HSE) resulted in an investigation by the watchdog. For major injuries alone, the chances of an HSE investigation were lower still, with just 6.5 per cent investigated. We are not talking cuts and bruised here. We are talking being trashed – burned, losing limbs, being scalped. There’s a less than 1-in-15 chance they’ll result in any official probe. And if it is justice you’re after, think again. In 2007/08, the most recent year for which finalised enforcement figures are available, 97.7 per cent of fatal or major injuries resulted in no HSE enforcement action, not even an improvement notice requiring measures by the employer to make the workplace safer. For occupational diseases and dangerous occurrences, the picture is worse still. Less than 1-in-20 of the reports to HSE made under the RIDDOR reporting regulations in 2007/08 were investigated by the watchdog. Less than 1 per cent led to enforcement action. HSE’s defence is that more time is now spent on “frontline activity”, up from 184,843 person days in 2006/07 to 209,242 in 2007/08. But this lumps in with inspection and enforcement work the resources spent on activities including “preparation for and attendance at agricultural shows, lectures, and other awareness-raising activities” and “standards-setting work”. The inspection trend, with HSE field inspector numbers dipping markedly in recent years, has fallen dramatically and taken enforcement action down with it (Hazards 104). It is a situation described by criminal law experts Steve Tombs and Dave Whyte as the “collapse of enforcement”. In a paper published online on 13 October 2009 in the British Journal of Criminology , they note: “Investigations and inspections have fallen at an unprecedented rate as political and resource pressures have taken their toll on the day-to-day work of the inspectorate; the percentage falls in enforcement activities, already from low absolute levels, can hardly be described as anything other than a collapse. The Conservative Party believes something needs to be done, and is intent on creating its own political furore around the issue. But rather than bolstering HSE and repairing a tottering regulator, it appears intent on dismantling it. A Conservative government would allow firms to opt-out from HSE inspections, with qualifying firms allowed to bar the watchdog from their premises. Instead the Tories are recommending an audit system modelled on the financial sector controls that gave us Enron, Madoff and that came within a bail-out of bringing the entire banking system to its knees. BP is a company on paper that is tailor made for the Tories do-it-yourself safety enforcement alternative. The multinational has a team of 45 in-house safety auditors. Safety reports and claims on its website are subject to an “assurance statement” by external auditor Ernst and Young. London-based chief executive Tony Hayward (below right) “chairs the group operations risk committee (GORC) which oversees safety performance.” BP is a featured HSE case history on “director leadership” (Hazards 97). But paper and practice are two very different things. In four years BP couldn’t even get its house in order at a US plant that blew up, killed workers and landed it with a record fine and a public drubbing in a series of highly critical official and independent reports. In a stinging rebuke for the company from right at the top of the Obama administration, secretary of labor Hilda Solis said: “When BP signed the OSHA settlement from the March 2005 explosion, it agreed to take comprehensive action to protect employees. Instead of living up to that commitment, BP has allowed hundreds of potential hazards to continue unabated. Fifteen people lost their lives as a result of the 2005 tragedy, and 170 others were injured. Tony Hayward was BP’s second-in-command when Texas City exploded, and became chief executive in 2007. He has been in top management positions for over a decade, and was made an executive vice-president in 2002, the year BP received a then-record UK safety fine of £1m after being prosecuted by HSE for criminal safety offences at Scotland’s Grangemouth refinery. 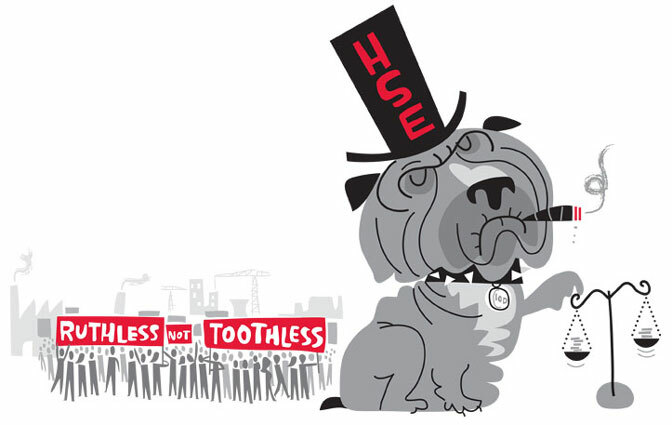 Hazards magazine wrote to HSE chief executive Geoffrey Podger regarding the UK safety watchdog’s continuing promotion of BP’s “leadership” position on health and safety. The HSE’s top manager is told “BP is a text book example of ‘director leadership’ gone wrong.” The 2 November 2009 letter, from Hazards editor Rory O’Neill, adds: “I would once more urge you to stop providing credibility and succour to a serial safety offender which lacks either the capability or the will, or both, to remedy its woeful safety management performance. HSE should remove immediately the BP director leadership case history from its website. “As a responsible regulator, I would also expect HSE to put BP on notice that the performance of its London-based board and the operation of its not-fit-for-purpose GORC committee will be the subject an immediate probe and ongoing close scrutiny. Like it or not, BP’s global failings stem from decisions made on your patch, on your watch” (see the Hazards letter to HSE in full). But BP is not alone. With big names like Network Rail, British Gas and Corus sharing a recent history of big fines for egregious safety offences, deciding which firms qualify for “earned autonomy” might cause some qualms for even the most ardent free marketeer. An investigation by the US Government Accountability Office (GAO)  has confirmed what union and other workplace safety advocates have charged for years - the Bush administration’s reliance on voluntary programmes did not improve worker safety and let some dangerous employers escape scrutiny. The GAO report, released in June 2009, concludes that under the Bush administration the Occupational Safety and Health Administration’s (OSHA) Voluntary Protection Program (VPP) lacked proper oversight, did not improve worker safety and diverted scarce resources from other enforcement duties. VPP companies are able to avoid routine OSHA inspections as long as they demonstrate they have an exemplary safety and health programme, have no ongoing enforcement actions and have an injury and illness rate below the average rates for the industry. The GAO found that OSHA did not properly ensure that only worksites that had exemplary safety programmes were eligible for relief from routine inspections. According to the GAO report, 12 per cent of the worksites participating in the programme had an injury or illness rate higher than rates for their industry, and one participating worksite had an injury and illness rate four times higher than their industry average. In addition, OSHA continued to allow some businesses to participate in the voluntary programme even though they were cited for serious safety violations. Following publication of the latest GAO report, OSHA announced that it was to undertake a comprehensive review and evaluation of the programme . UK academics Steve Tombs and Dave Whyte see another problem with self-regulatory approaches for watchdogs like OSHA and HSE. The approach is also a rehash of a Tory experiment in the UK in the mid-1980s. In the trial, construction giant Costain was exempted from HSE inspections because it argued its safety management structure and accident record were much better than the rest of the industry (Hazards 3). The trial was quickly abandoned when a worker died on a Costain site. Removing essential workplace safety protection is not even a popular move with the electorate. While the business lobby is keen to see any regulatory controls and oversight reduced (see Business wants inspection tip-offs) and the Tories appear to be listening, the public values regulation when it comes to workplace health and safety, government research published in October 2009 found (see below). Unions have warned the Conservative Party’s new plan to allow firms to opt-out from official health and safety oversight will be “disastrous” for health and safety. Prospect, the union that represents HSE inspectors and specialists, said health and safety inspections and firm law enforcement has contributed to the UK having one of the best workplace health and safety records in the world. He said the policy “goes to show the Tories’ true colours,” adding: “They are the party of the bosses and by cutting 'red tape' for employers they will be putting the lives and health” of workers at risk. The Conservative Party, for its part, wants to mimic a US system of self-regulation that is under investigation and bordering on disrepute. One inevitable consequence would be to mimic another failure of US regulation – the failure to adequately protect the lives and health of the working population. The UK has one of the best workplace safety records in the world . The US, by contrast, kills at work at a rate not seen in the UK for decades . 2. Regulation in the post-bureaucratic age, Conservative Party, October 2009 www.conservatives.com • [pdf]. 3. US Department of Labor’s OSHA issues record-breaking fines to BP, US Department of Labor news release, 30 October 2009. Beyond prison?, Hazards, number 97, January-March 2007. 4. Ken Clarke: Britain will be a decent place to do business again, Conservative Party news release, 6 October 2009. 5. OSHA’s Voluntary Protection Programs: Improved oversight and controls would better ensure program quality, GAO report, June 2009 [pdf]. 6. US Department of Labor's OSHA begins evaluation of Voluntary Protection Programs, OSHA news release, 18 June 2009. Päivi Hämäläinen, Kaija Leena Saarela and Jukka Takala. Global trend according to estimated number of occupational accidents and fatal work-related diseases at region and country level, Journal of Safety Research, volume 40, pages 125–139, 2009 [pdf]. 8. US Bureau of Labor Statistics Census of Fatal Occupational Injuries, BLS, USA, August 2009 [pdf]. FSB adds: “The government should consider the cost of inspections as an integral part of the cost of regulation and seek to reduce this burden.” It called for a reduction in inspections in the order of 25 per cent. Nearly two-thirds of people in Britain agree they benefit from regulation in their everyday lives and 70 per cent think the benefits of regulation outweigh the burdens, according to a new report from the Department for Business (BIS). ‘Better regulation, better benefits: getting the balance right’ concludes “health and safety regulation changes business behaviour. Fatalities decreased by threequarters and injuries at work have fallen by 70 per cent since 1974,” when the Health and Safety at Work Act was introduced. 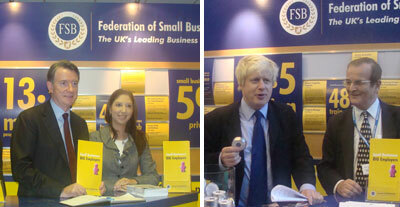 Better regulation, better benefits: Getting the balance right, BIS, October 2009. BP's safety disgrace and HSE's promotion of BP as an example of "director leadership"
I have written previously raising concerns about the Health and Safety Executive’s continuing use of BP as an example of “director leadership” on health and safety. Should you need a reminder of my concerns, you may wish to peruse the related Hazards article (Beyond prison?, Hazards 97, 2007). Given yet more evidence of the inability of the company to operate in a safe or responsible manner (‘US Department of Labor’s OSHA issues record-breaking fines to BP’, 30 October 2009), I would again urge HSE to remove BP from its “director leadership” case histories. You should be aware the safety malaise identified by OSHA goes right to the top of the London-based multinational. The failure of BP’s global structures to manage safety effectively has been exposed in a series of official and independent reports. You should also be aware that BP chief executive Tony Hayward chairs the Global Operations Risk Committee (GORC) responsible for health and safety. BP is now the recipient of the two largest fines in OSHA’s history. It was also the recipient of what was at the time the largest UK fine for health and safety offences, relating to incidents at the Grangemouth refinery (COURT CASE AGAINST BP GRANGEMOUTH COMPLEX - HEALTH AND SAFETY EXECUTIVE STATEMENT, HSE news release, 18 January 2002). In this case, the company’s management was again admonished in an official report, this time from your agency (BP Grangemouth Scotland: 29th May - 10th June 2000 A Public Report Prepared by the HSE on Behalf of the Competent Authority). I would once more urge you to stop providing credibility and succour to a serial safety offender which lacks either the capability or the will, or both, to remedy its woeful safety management performance. HSE should remove immediately the BP director leadership case history from its website. As a responsible regulator, I would also expect HSE to put BP on notice that the performance of its London-based board and the operation of its not-fit-for-purpose GORC committee will be the subject an immediate probe and ongoing close scrutiny. Like it or not, BP’s global failings stem from decisions made on your patch, on your watch. I await your early response. 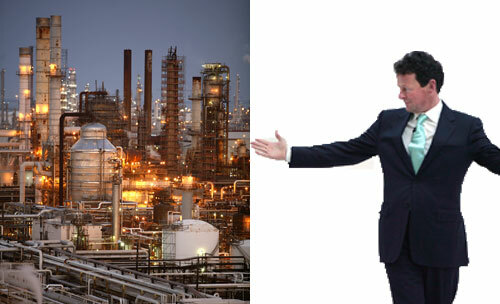 The criticism of BP came in a 2 November 2009 letter sent by campaigning magazine Hazards to HSE chief executive Geoffrey Podger, also published online (above) by the magazine, in the wake of a record US safety fine on BP for failing to remedy hundreds of problems at its Texas City refinery. Within days of receiving the letter, the BP director leadership case history, as well as 40 others on the same webpage, had been removed. Only four cut down case histories survived the cull. In a written reply to Hazards, HSE chief executive Geoffrey Podger said the case histories were “time expired” and were to be removed anyway. However, in response to press inquiries regarding the letter from the magazine, the watchdog admitted the move was prompted by “someone externally” criticising the webpages. Letter from Hazards to HSE chief executive Geoffrey Podger. HSE director leadership case histories.